‘Unite the Right’ organizers Jason Kessler and Richard Spencer are being sued by Tadrint and Micah Washington, two individuals involved in the deadly Charlottesville car crash. James Alex Fields Jr., suspected of driving his 2010 gray Dodge Challenger is also named in the suit, along with David Duke and various groups allegedly present at the protest. Numerous white nationalist groups attended the “Unite the Right” rally on Saturday, and were opposed by anti-racist counter-protesters. Police say that amid this tension, Fields committed murder with his car. “A Dodge Challenger was traveling south on 4th Street at a high rate of speed when it rear-ended a sedan headed south on 4th Street,” officials say. “The impact of that crash pushed the sedan into the minivan in front of it.” The impact pushed the vehicles into a crowd of anti-racist demonstrators, killing Heather Heyer and injuring 19 other people. The Washingtons say they were driving the sedan that Fields hit, and demand $3 million in damages. Other defendants include “Unite the Right” organizer Jason Kessler, Richard Spencer (the white nationalist who coined the term “alt-right”), and former Imperial Wizard of the Ku Klux Klan David Duke. MORE: Suit says Washingtons were "detoured" on their way home to 4th St. when Fields slammed car into theirs. They claim "serious injuries". 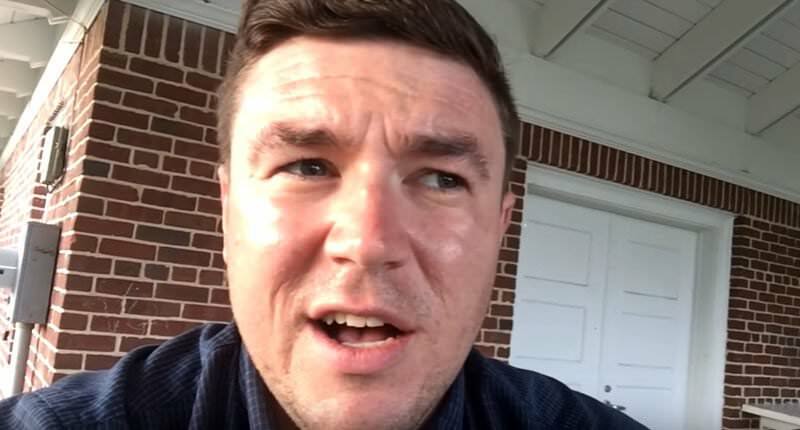 Jason Kessler supported by Obama and the Occupy movement until last November.